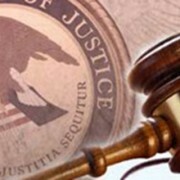 FRESNO, Calif. — A federal grand jury returned a 32-count indictment today against Jennifer Crystal Downing, 39, of Fresno, charging her with 16 counts of first degree burglary and 16 counts of theft, United States Attorney Benjamin B. Wagner announced. According to court documents, Downing entered rooms in the Ahwahnee Hotel and stole cash from the hotel’s customers. The burglaries and thefts began in March 2014 and continued through October 2014. At the time, Downing was working on the Ahwahnee’s housekeeping staff. This case is the product of an investigation by the National Park Service. Assistant United States Attorney Mark J. McKeon is prosecuting the case. If convicted of burglary, Downing faces a maximum statutory penalty on each count of six years in prison and a $250,000 fine, and if convicted of theft, she faces a maximum statutory penalty on each count of one year in prison and a $100,000 fine. Any sentence, however, would be determined at the discretion of the court after consideration of any applicable statutory factors and the Federal Sentencing Guidelines, which take into account a number of variables. The charges are only allegations; the defendant is presumed innocent until and unless proven guilty beyond a reasonable doubt.